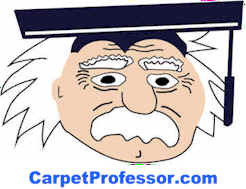 Want to learn about proper carpet care and maintenance and how to obtain new carpet warranty information? Here is my free list of common carpet manufacturers and their toll-free contact information. This list is updated frequently but I cannot guarantee the accuracy of the information contained here. Many smaller carpet manufacturers have been sold or bought up by larger conglomerates like Mohawk, Beaulieu and Shaw. There are way fewer small locally-owned carpet mills today than ever before. This is not good news for homeowners as the options and the competition is reduced, making new carpet more costly than ever before. List of Carpet Manufacturer Websites and Toll-Free Phone Numbers.